Nabil Fekir has insisted he is 'happy' at Lyon, despite reports suggesting Chelsea have made a late bid to sign the France World Cup winning midfielder who was close to joining Liverpool in June. Fekir underwent a medical ahead of a proposed £60m move to Anfield, but complications with an old knee injury forced Liverpool to pull out of the deal. Persistent rumours have suggested Liverpool may try to revive the deal, but those stories have been emanating from France rather than Merseyside and Anfield insiders have suggested they have not re-opened talks with Lyon over a fresh deal for Fekir. 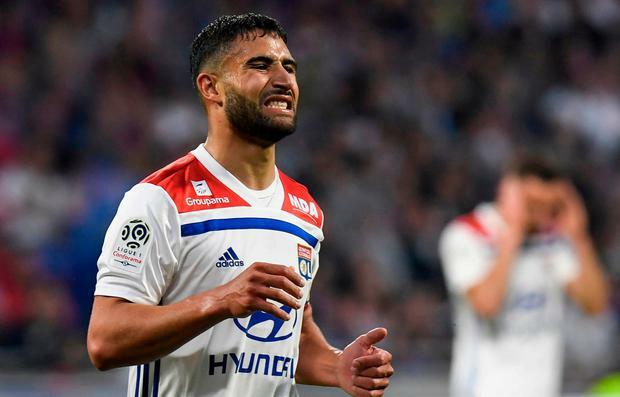 Now France Football are among those reporting that Chelsea have made contact with Lyon over Fekir, with the west London club keen to make some signings ahead of Thursday's transfer deadline, with the player clearly open to a possible move in the coming days. "As you can see, I am in Lyon. I am very happy here, but the transfer window is still long and everything goes very quickly in football," Fekir told Lyon’s official TV channel on Monday. "We don’t know what will happen in the future but I am very happy at Lyon. I feel brilliant in this squad. We have very good players, a great atmosphere. We feel good together and I hope that Lyon will have a very good season." Liverpool manager Jurgen Klopp has hinted he may be open to sealing a final transfer ahead of Thursday's deadline and it remains to be seen whether Chelsea's apparent interest in Fekir could encourage the Reds to make a fresh move for a player who was one of their top transfer targets this summer.